The most exciting weekend of the year has to be the opening weekend for the 13u girls or boys. 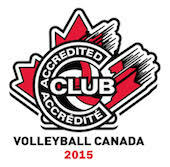 For most players and parents it is their first OVA competition, sometimes for the coaches as well. For many of us we remember this event above all else. The 13u girls tournament in Whitby saw both the Rattlers and Sidewinders take to the court. While the pool action brought little on the win side of the ledger Coaches Sweet and McMullin watched as their charges grew and learned in leaps and bounds over the course of the day. Winning their consolation playoff games gave both the players and coaches a sign that the year is going to be an exciting one. Meanwhile up the river in Pembroke the 16u event saw three Maverick squad compete and succeed on multiple fronts. The Derringers (16u Comp) pushed every team they faced including their HP cousins and showed Coach Sluitier that this season will be loaded with fun and excitement as the teams sort themselves into the appropriate tier. Two 16u HP teams also traveled to Pembroke and fought their way into the playoff round. The Trailblazers had a great day but dropped a close semi-final to their crosstown rivals the Ottawa Fusion Explosion girls and suffered a crushing loss in the bronze with a scary moment for the team when one of coach Shaheen's girls struck her head chasing a ball down late in the third. The team struggled to recover from their concern for their friend and lost the bronze after having a healthy lead in the third. All members of the team and indeed the entire club are sending their wishes and positive hopes for a speedy recovery. The Outlaws were also dealing with the loss of one of their members due to injury the day before this event and had to rely on their incredible depth and athleticism to get the job done. After winning their opening tournament at the 17u age division last week the Outlaws and Coach Nguyen had their eyes set on one prize. Using a rejuvenated attack and superior blocking, serving and defense skills the girls went on to claim gold and avenge the semi-final loss of their sister team winning a one sided affair in the finals. The 15u Boys had the shortest trip of the group as they traveled done the road to Kingston and competed in a 12 team event at Queens University. The Wildcard who survived a scare during the tryout season of not forming a team proved that they are ready for the show this season results to be posted shortly. Both 17u boys teams elected to sit out the first event this past weekend as many of the team members are heading to Ofsaa this week, with respect for their goals with their high school programs. They will take to the court on Dec 13th and have some ground to make up, stay tuned. Good Luck to the teams at Franco Cite, Beatrice Desloges and LongFields Davidson Heights as they compete at AA, AAA and AAAA Ofsaa respectively.